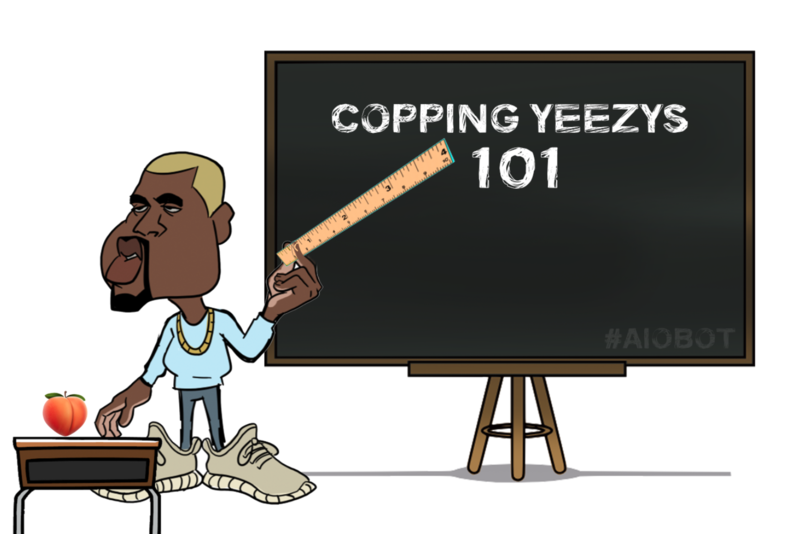 Hello class, welcome to Yeezyology 101 – Professional Sneaker Copping. My name is Yeezy McSteezy, and I’ll be your professor. The month of November is a big month for Yeezys, I’m sure you all know about the Frozen Yellow Yeezy Boost 350 v2, Beluga 2.0 Yeezy Boost 350 v2, and Blue Tint Yeezy Boost 350 v2 that will be dropping soon. Yes, it shall be a great holiday season indeed! You’ve enrolled at just the right time. I’ve gone through the trouble of preparing a concise guide for success at copping sneakers. So, without further ado, let’s begin! The most basic tips and tricks are probable to work in some situations, but those situations are far and few. The true sneakerheads and hypebeasts all strive to be professionals. Of course, if you want to be truly successful, you will need hours of planning and preparation. Future sneakerheads, I say to you, the planning stage is the most important! The tips laid out below are some of the most basic setups you will need to become the best sneaker copper possible. Forget about those L’s you’ve been taking, losing is for losers, and this class is only for winners. So, let’s get it! When? If you’re dead serious about copping those Yeezys, you need to check for updates regarding the release date and sites on a daily basis. Release dates change, and some might get rescheduled to an earlier date. Information like that will become clearer as the release date draws near. Where? Knowing where your Yeezys are dropping is a P1! And this requires attention because new release sites might be added and others might be removed from the list. We don’t want you waiting at a door that will never open! What Browser? For copping Yeezys, it’s best to use Google Chrome. If you don’t already use Google Chrome, then I just caught you slacking. You get an F for browser copping. “Why is the browser so important Prof. McSteezy?” Good question students. Google chrome has a lot of extensions and features to help you cop Yeezys. The development culture is constantly expanding and it’s full of support to make things easy. There are a few tools I will go over with you later in this course. Once you’ve installed Google Chrome, you should become VERY familiar with the layout of the sites you plan on copping Yeezys from. Don’t wait until the last minute before release. Study the site and know your tools. Using auto-fill: By entering your payment information and address into Chrome’s auto-fill, you will save yourself time and headaches. This feature of Chrome is super easy to use; for those of us who are noobs to this process, check out the official documentation. Page Monitor: This Chrome extension notifies you when there’s a change on the site of your choice. This means that as soon as the Yeezys drop and the splash page opens, you’ll be the first to know. If you’re using multiple computers in your copping strategy (and you should, as we’ll discuss later) be sure to have this extension enabled on all of them. Page Monitor operates by constantly refreshing the page it’s watching. But once you know you’re in the queue to cop Yeezys, immediately disable the extension. If you don’t, you’ll lose your spot when the page loads again. If any friends are helping you cop Yeezys, make sure they understand this. We don’t need anyone fouling up and ruining our well-planned strategy. Payment method: When multiple credit cards are in play from friends and family helping, be sure that each card is already set up in autofill on their computers. And be doubly sure that they have enough money ready to cop Yeezys. If you have multiple servers or multiple proxies, then you’ll need multiple credit cards for each server or proxy. DO NOT IGNORE THIS FACT! If the same credit card or PayPal is used on different devices/servers then the transaction will be declined. You will catch the worst L of your life. Twitter Notifications: Follow the top Twitter accounts in the industry. There are a ton of influencers on Twitter who usually have early and exclusive information. Things you really don’t want to miss. Plus you can never forget to follow sneaker sites, after all when a release starts they will announce it first on Twitter. Set up notifications so you don’t need to go into the app for updates. Use TweetDeck filter to get the most important notifications, using keywords like “Yeezy”. Raffles: When you find raffles on Twitter or blogs, enter them. Enter ALL of them. Free Yeezys are the best Yeezys! Ping Latency: A Ping (measured in Milliseconds) is a signal sent from your computer to the site you are trying to cop from. This ping time/latency is directly linked to your internet speed. The faster your computer can send the message (ping) to your website, the faster you will beat out your competition for those coveted Yeezys. Get some good proxies: Add proxies to the computers you’re using. Make sure the location of your proxy server is close to the server of the sneaker site you want to cop from. 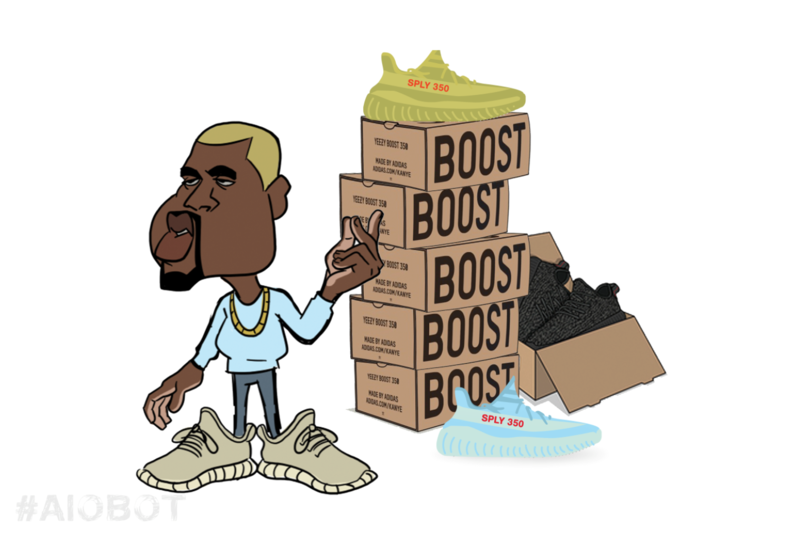 The more proxies you have, the better your chances for copping Yeezys. You should use proxies, no matter what! A proxy acts as a mask between your computer and the website (it thinks you’re someone else). Accessing the site with multiple accounts without using proxies, this behavior is so suspicious that, sneaker sites will ban you. Call it Anonymous, call it camouflage, call it whatever you want, just don’t catch an L.
Dedicated Private and Virtual Servers: Yes, servers! Those magical things that hackers and programmers use to make millions. Class, I’m here to tell you, the magic is in your hands. Servers are in fact easy to use, you can rent a server that comes pre-configured and ready for your bot. It’s as simple as logging in and downloading an app on your iPhone. It’s a good idea to take advantage of private and virtual servers because it’s like having another computer at your disposal. If you’re halfway across the world, you can get a server in the same city as the website you want to cop from (lower pings and faster copping time). Always remember to use different credit cards, so that sneaker sites don’t cancel your orders. Captcha Services: You know those annoying little boxes that ask you to click the cars or flags to see if you’re human? Obviously, a bot isn’t human, so does anyone want to know how we can beat those annoying little captchas? It’s child’s play. There are services out there that will solve the captchas for you so your bot can roam free. Subscribe to a good captcha service, and use them to increase your rate of wins. Extra Credit: When you want to get really smooth, put proxies on your server. This will more than triple your chances of copping Yeezys. Enlist your friends: Call your teacher, boss, ex-girlfriend, hypebeasts, and fellow sneakerheads (make sure they’re not trying to sabotage you first!) to your house with their laptops. You’ll need all the help you can possibly get. Why? There’s power in numbers, weren’t you listening when we went over the basics? Think of your buddies as a sneaker bot army. Each one of them can access the early link and try to cop the Yeezys for you. Each friend you enlist in your army will exponentially increase your chances of copping Yeezys. Imagine if you call five friends and they each have two servers; when you include your own computer and two servers, you have 18x the copping power! Don’t get too excited there, we don’t need any loose ends in our copping strategy. That’s why we use proxies. Give every one of your buddies dedicated proxies, so they access the site with different IP addresses. Remember, these proxies should have low ping latency to the copping site. Extra Computers and phones: For every computer or phone you add into the equation, you increase your chances to cop the new Yeezys by that amount. But, NEVER FORGET TO USE PROXIES! Servers: Yes, server my friend, if you don’t have a lot of devices within your reach, you can rent as many servers you need. To increase your chances to cop, refer to the advice we’ve mentioned above. And always remember to use different Credit cards so that Sneaker sites don’t cancel your orders. Company’s Background: Go for a company with a good copping history and reputation in the market. Do your research, ask around, even message the company itself. Features: Choose a bot that features a lot of different technologies, and supports all sneaker sites you’re planning on copping from. You really don’t wanna end up buying a bot for each site, that’ll cost you more than the Yeezys! Multiple/Unlimited Threads: OBVIOUSLY! You should always choose the bot providing more threads. More threads mean more processes, which mean more firepower to cop Yeezys. For very limited releases like the Frozen Yellow Yeezy Boost 350 v2, go for a bot with unlimited threads. Price: Although reasonably priced bots are a catch, more advanced bots usually come with a larger price tag. Class, take it from Prof. McSteezy, it’s worth making the investment and catching a Win on copping Yeezys instead of going cheap and coming up empty-handed and late on rent. This is part of your financial strategy. Updates: Keep your bot updated. A Yeezy Bot with multiple updates means the development team has been hard at work making sure no sneaker site is out of your reach. Customer Support: Contact the customer support team whenever you need any kind of help. A professional company, who has created a successful bot usually tops it off with a state of the art customer support team who will always have your back. Customer Satisfaction: A happy customer is a loyal customer. Professional businesses know that saying, and live by it. So, if a company has a high customer satisfaction rate, it means they’re doing something right. Success Rate: Make sure your bot’s twitter account is loaded with success tweets – legit success tweets. Fake accounts are all around social media, and they may fool you into favoring one bot over another. Don’t fall for the fakes! PS: If you’re looking for the full-package, copping power, success, support, and ROI, you must consider AIO Bot. It holds the highest success rate on most releases, fits within most sneakerhead’s budget and is known for having a great support team. Yeezys are dropping. The Final Exam. Get your setup ready: Set up your bot and prepare the PCs. Plan to do this at least 5 hours before the release. Set your tasks on the bot; re-read and carefully follow the release guide provided to you. Place your billing info into auto-fill. Set your proxies. Run your bot: Press the button and run the bot. Always perform one final check for last minute updates. Bots usually trigger urgent fixes and updates up until 10 min before the release. These final updates could be site changes or upgrades to threading. No matter what they are, you need them. Wait for the win: You’ve done your part. The rest is up to Yeezus and the sneaker gods. Confirmation Email and Tracking: Whether or not you use Yeezy Bot to cop, it’s not over until you receive a confirmation email. When copping Yeezys, you need to make sure you have an email that proves you did or else it’s like you went through all that hard work for nothing. You will get a shipping confirmation with a tracking number. If you ordered from Yeezy Supply, you can track your order on the UPS app. Safeguard your tracking information and religiously track the delivery of your Yeezys. If you followed the guide laid out in this course and succeeded at copping Yeezys, congratulations! You graduated with honors. However, if you didn’t, don’t worry there will always be new Yeezy Seasons.